Why I read this book: The first two books I liked, and now I wanted to know what Lavoie had in store for his Happily Ever After. Their love was always in the cards.He should have thrown her out. But when club owner Alexander Lavoie catches a mysterious blonde counting cards at his vingt-et-un table, he's more intrigued than angry. He has to see more of this beauty—in his club, in his office, in his bed. But first he'll have to devise a proposition she can't turn down. Gossip said he was an assassin.Common sense told her to stay away. But Angelique Archer was desperate, and Lavoie's club offered a surefire way to make quick money—until she got caught. Instead of throwing her out though, the devil offers her a deal: come work for him. Refusing him means facing starvation, but with a man so sinfully handsome and fiercely protective, keeping things professional might prove impossible. We have come to book three, my friends. As soon as I received the request to review this book, I was excited and eagerly awaiting a moment to sit and devour it. Enter the holidays, and I was golden. We have come to book three of the Season for Scandal series. Alex owns a high end gaming establishment that has featured in previous stories. Angelique is a down on her luck Lady of the ton who desperately needs money for her family, and luckily for her she is super good at counting - and counting cards. I don't want to give too much away because the plot progresses forward fairly quickly. The summary above is actually pretty decent with what you get without giving too much away. 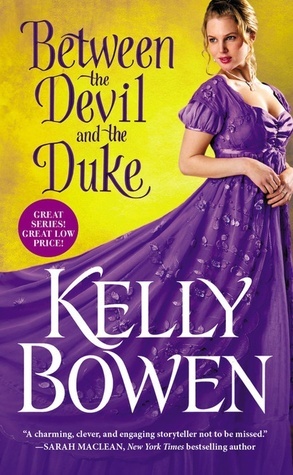 The thing that I love about Bowen's novels is that she brings such a breath of originality into the sometimes tedious stale nature of historical romance. While we still have a titled lady, we have a mysterious gaming hell owner. And that titled lady? Well there is more to her than meets the eye and a very driving motivation behind all of her un-Lady like behavior. It drives the plot forward at a breakneck speed, which meant lots of late night reading for me. Alex and Angelique were great characters. Both were strong and well developed. They stood on their own solidly, but also worked off each other in a way that made their chemistry all the more enticing. And their chemistry was quite satisfactory. Anyway, the best part for you guys, dear readers, is that this book can totally be read standalone and you lose nothing. It doesn't really spoil any of the other books, and you don't really need to know the past two at all the enjoy the third. There are some subtle call-backs you'll miss, but nothing major. 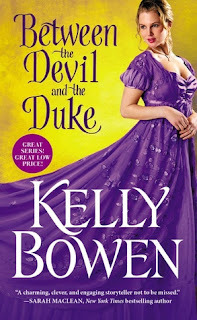 I like how Bowen is developing as a historical romance author and I am definitely going to keep an eye out for more books in the future.